To help develop the strategic business selling skills of dedicated but undertrained sales professionals, Advantexe - a world leader in the design, development and delivery of computer-based business simulations - has developed the Brew2 business simulation! 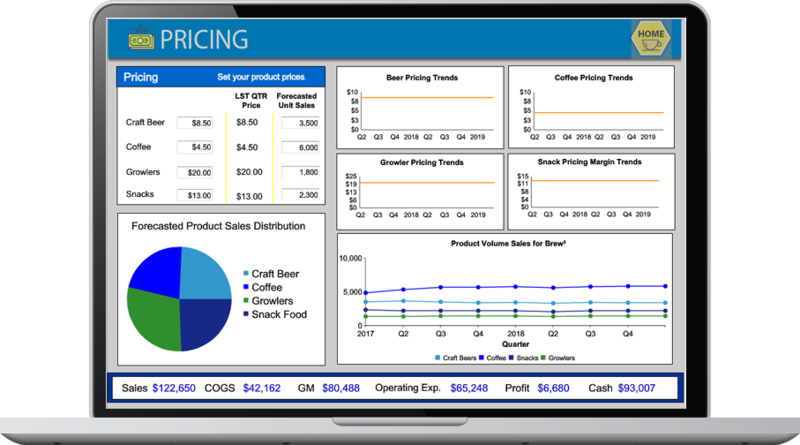 The Brew2 simulation was designed for sales people who sell to small business customers. By giving reps the opportunity to “walk a mile in the shoes of their customers,” they learn about the important business challenges and develop an empathy about their customer’s business by actually running their customer’s business!